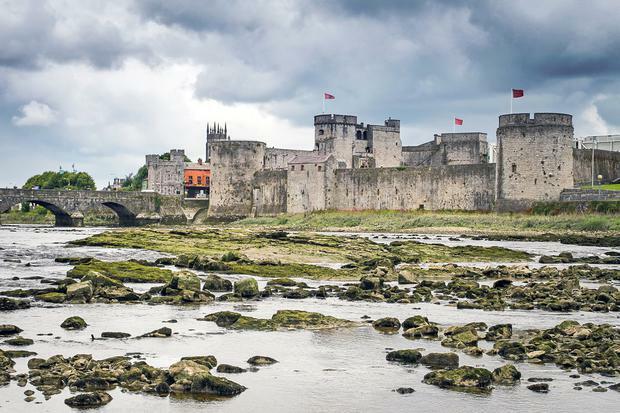 There’s no shortage of surprises for drivers exploring the new Shannon Estuary Way – a 207km (135 mile) route through coastal Limerick and Clare. It’s the first in a series of Wild Atlantic Way looped drives aimed at increasing visitor “dwell time” and spend in rural communities – with others being developed in the Burren, around Donegal’s Mulroy Bay, and in North Cork. This week, the Shannon Estuary Way took a further step forward with the unveiling of 11 new viewing points featuring stories and imagery from local communities under a concept of ‘big skies and sheltered waters’. Signage and panels include a motif created to celebrate the traditional wooden fishing boats unique to the River Shannon – the gandelow. 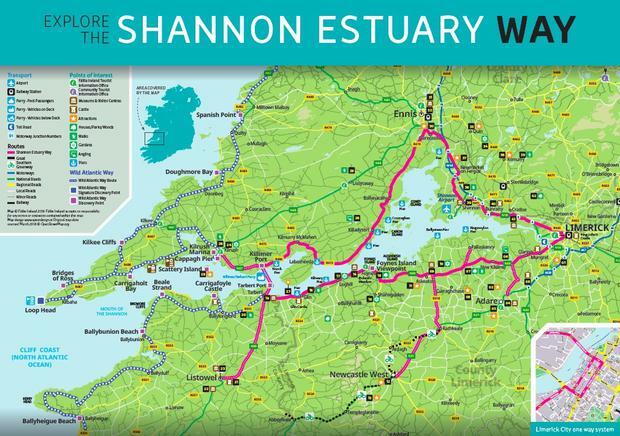 The Shannon Estuary Way was developed by Fáilte Ireland together with Clare and Limerick County Councils under a broader effort to boost economic growth through tourism in rural communities. Fáílte Ireland invested €225,000 in the project. “The Wild Atlantic Way has been a great success and we are continuing to build on this success for the benefit of communities across the region,” said Minister of State for Tourism and Sport, Brendan Griffin T.D. In other tourism news, Sligo is to get a new food tour – run by Hans and Gaby Wieland of the organic Neantóg Farm, near Cliffony. The 3.5-hour tour will take in the town’s most inventive small food businesses, with dates starting on April 12 and prices from €60pp (sligofoodtours.ie).